Dr. Jonathan Eisenstat completed his undergraduate studies at University of California at Davis in 1993 and earned his medical doctorate from Sackler School of Medicine in Tel Aviv, Israel in 1998. After a year and a half of surgical residency, he completed an anatomic pathology residency at The State University of New York at Stony Brook in 2003. Dr. Eisenstat then completed a one year fellowship in Pediatric Pathology at New York University before entering into the Forensic Pathology and Forensic Neuro / Cardiac Pathology fellowships at the Office of the chief Medical Examiner in New York City. 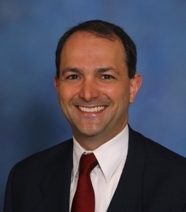 Dr. Eisenstat joined the Georgia Bureau of Investigation in 2006 as an associate medical examiner. 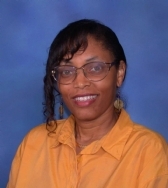 Dr. Jacqueline Martin completed her undergraduate studies at the University of Puerto Rico - Cayey in Cayey, Puerto Rico in 1981 and earned her medical degree from t he Ponce School of Medicine in Ponce, Puerto Rico in 1985. She fulfilled her residency at the University of Rochester, Strong Memorial Hospital in Rochester, New York in 1990. She worked at the Monroe County Medical Examiner's Office in Rochester, NY from 1988 to 1993, and moved on to complete a fellowship at Hartford Hospital in Hartford, Connecticut in 1994. From 1994-2001, Dr . Martin served as a pathologist and medical examiner at Highland Hospital (Rochester, New York), the Pa lm Beach County Medical Examiner's Office (West Palm Beach, Florida), and the Center for Forensic Sciences (Syracuse, New York). Dr. Martin joined the Georgia Bureau of Investigation as an associate medical examiner in 2001. 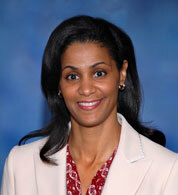 Dr. Lora Darrisaw completed her undergraduate degree from Marquette University in Milwaukee, Wisconsin in 1985. She received her medical degree from the Medical College of Wisconsin in Milwaukee, Wisconsin in 1995. She completed her pathology residency at the Medical College of Wisconsin Affiliated Hospitals in Milwaukee, Wisconsin in 1999. Dr. Darrisaw moved on to a fellowship in Pediatric Pathology at Texas Children's Hospital, Baylor College of Medicine in Houston, Texas. Following that, she finished another fellowship, this one in forensic pathology, at the Medical College of Georgia in Augusta, GA in conjunction with the Georgia Bureau of Investigation in 2002. Dr. Darrisaw joined the Georgia Bureau of Investigation Medical Examiner's Office as an associate medical examiner in 2002. Dr. Darrisaw specializes in pediatric pathology and the evaluation of fatal and non-fatal pediatric injury. graduated from Wake Forest University in Winston-Salem, North Carolina in 1989, and received his medical degree from the Medical University of South Carolina in Charleston, South Carolina in 1993. He went on to complete his residency in anatomic and clinical pathology at the University of North Carolina Hospitals in Chapel Hill, North Carolina in 1998. During this time, Dr. Lehman also completed a fellowship at the Office of the Chief Medical Examiner in Chapel Hill, North Carolina. He then joined the Fulton County Medical Examiner's Office for another fellowship, which ended in 1999. Dr. Lehman joined the staff of the Georgia Bureau of Investigation Medical Examiner's Office in 1999 as an associate medical examiner. 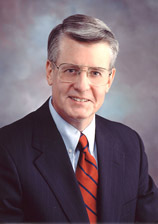 Dr. Edmund Donoghue received his undergraduate degree in pre-professional studies from the University of Notre Dame in 1966 and his medical degree from the Medical College of Wisconsin, Milwaukee, WS, in 1970. He completed an internship in internal medicine and specialty training in anatomic pathology at the Mayo Graduate School of Medicine in Rochester, MN, from 1970 to 1973. Dr Donoghue completed fellowship training in forensic pathology at the Office of the Medical Examiner of Wayne County (Detroit), MI, and the Armed Forces Institute of Pathology, Washington, DC from 1973 to 1975. For two years, from 1975 to 1977, he served on the staff of the Armed Forces Institute of Pathology. Following service in the US Navy Medical Corps, Dr. Donoghue was appointed deputy chief medical examiner of Cook County (Chicago), IL, in 1977. In July 1993, he became chief medical examiner of Cook County and served until his retirement in 2006. Dr. Donoghue joined the Georgia Bureau of Investigation in 2007 at the Coastal Regional Crime Laboratory in Savannah, Georgia. Dr. Donoghue has served as president of the American Academy of Forensic Sciences, the National Association of Medical Examiners, and the Chicago Medical Society. He also served as a Clinical Professor of Forensic Pathology at the University of Illinois at Chicago. He is the author of many scientific articles and is a member of the editorial review board of the American Journal of Forensic Medicine and Pathology. While in the Navy, Dr. Donoghue participated in the investigation of the April 1977 Pan Am-KLM aircraft crash in the Canary Islands. In Cook County, he participated in the investigations of the May 1979 crash of American Airlines Flight 191 at O'Hare International Airport, the Tylenol-Cyanide murder in September 1982, the 1995 Chicago Heat Wave Disaster, and the exhumation of civil rights victim Emmett Till in 2005. 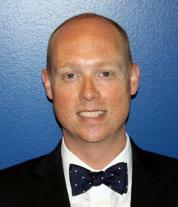 Dr. Donoghue joined the GBI in 2007 as a Regional Medical Examiner in the Coastal Regional Crime Lab in Savannah. Dr. Melissa Sims-Stanley completed her undergraduate studies at Emory University in Atlanta, Georgia in 1990 and earned her medical degree in 1994 at the Medical College of Georgia in Augusta, Georgia. She moved on to complete an internship at the Medical College of Georgia in 1995 and finished her residency at the Medical University of South Carolina in Charleston, South Carolina in 1999. From there she was a forensic fellow at the Medical University of South Carolina until 2000. Dr. Sims joined the Georgia Bureau of Investigation as the Central Regional Medical Examiner based out of Macon, Georgia in 2000. 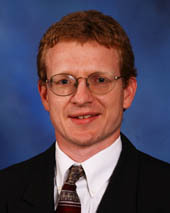 Dr. Steven Atkinson completed his undergraduate degree from Georgia Tech in Atlanta, Georgia in 1996. He received his medical degree from the Medical College of Georgia in Augusta, Georgia in 2000. He completed a residency in anatomic and clinical pathology at the University of Florida in Gainesville, Florida. He also completed a forensic pathology fellowship at Emory University School of Medicine in Atlanta, Georgia. Dr. Atkinson joined the Georgia Bureau of Investigation in 2008 as an associate medical examiner. Dr. Stacey Desamours received her undergraduate degree in biology from the University of California at Los Angeles in 1994 and earned her medical degree from the Morehouse School of Medicine in Atlanta, Georgia in 2004. She fulfilled her anatomic pathology residency at University of California at Davis in Sacramento, California in 2008. Dr. Desamours then completed a one year fellowship in Forensic Pathology at the Fulton County Medical Examiner's Center/Emory University School of Medicine in Atlanta, Georgia. Dr. Desamours joined the Georgia Bureau of Investigation as an associate medical examiner in 2009. 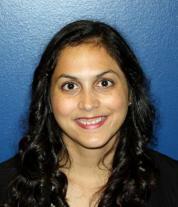 Dr. Natasha Grandhi completed her undergraduate and medical school through the combined BS/MD program at Youngstown State University and Northeast Ohio Medical University in Ohio in 2010. She then completed her pathology residency at the University of Maryland Medical Center in Baltimore, Maryland in 2014. She remained in Baltimore to complete her forensic pathology fellowship at the Office of the Chief Medical Examiner for the State of Maryland in 2015. Dr. Grandhi joined the Georgia Bureau of Investigation in 2015 as an associate medical examiner. Dr. Thomas received her undergraduate degree in biology from Lander University in Greenwood, SC in 1999 and earned her medical degree from the University of South Carolina School of Medicine in 2004. 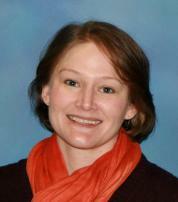 She completed her anatomic and clinical pathology residency at East Carolina University in 2008. Dr. Thomas then completed a one year fellowship in Forensic Pathology at the Office of the Chief Medical Examiner in Richmond, VA.
Dr.Wassum completed his undergraduate degree at Davidson College in Davidson, NC in 2000 and earned his medical doctorate from Eastern Virginia Medical School in Norfolk, VA in 2010. He completed a residency in anatomic and clinical pathology and a fellowship in forensic pathology at the Medical University of South Carolina in Charleston, SC in 2014 and 2015, respectively. Dr. Wassum joined the Georgia Bureau of Investigation as an associate medical examiner in 2015. 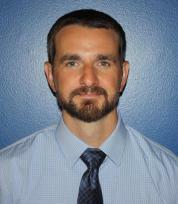 Dr. Colin Hébert received his undergraduate degree in biology from Southeastern Louisiana University 2004. He received his medical doctorate from the Ross University in 2010. He completed his residency in anatomic and clinical pathology at East Carolina University in 2015. He then completed a one year fellowship in Forensic Pathology at the Fulton County Medical Examiner's Center/Emory University School of Medicine in Atlanta, Georgia. Dr. Hébert joined the Georgia Bureau of Investigation as an associate medical examiner in 2016. 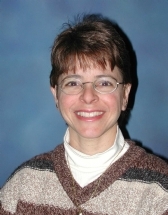 Dr. Maryanne Gaffney-Kraft received her undergraduate degree in biochemistry from Temple University at Philadelphia, Pennsylvania, in 1988, and earned her medical degree from the Philadelphia College of Osteopathic Medicine in Philadelphia, Pennsylvania, in 1992. She served in the United States Army as a General/Aviation Medical Officer until 1997. 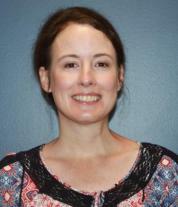 She completed a residency in anatomical and clinical pathology at Texas A&M in Temple, Texas, in 2001. She performed her first year of forensic pathology fellowship at Wake Forest University in Winston-Salem, and then a second year of forensic pathology fellowship at the University of North Carolina, Chapel Hill, North Carolina. She served as Associate Chief Medical Examiner of North Carolina and Clinical Assistant Professor of Pathology at the University of North Carolina School of Medicine in Chapel Hill, North Carolina, until 2009 when she left to work in Georgia. Dr. Gaffney-Kraft joined the Georgia Bureau of Investigation as an Associate Medical Examiner in 2009. Dr. Joni Skipper received her undergraduate degree in pharmacy in 1998 and her medical degree in 2006, both from the University of South Carolina in Columbia, SC. She completed an intern year in internal medicine at the University of Alabama at Birmingham in 2008, a residency in anatomic and clinical pathology at East Carolina University in 2016, and a forensic pathology fellowship at the Medical University of South Carolina in 2017. Dr. Skipper joined the Georgia Bureau of Investigation as an Associate Medical Examiner in 2017. 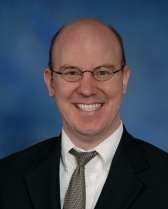 Dr. Andrew Koopmeiners received his undergraduate degree in psychology from Saint John’s University (Minnesota) in 2005 and earned his medical degree from the Medical College of Wisconsin in 2012. He completed his residency in anatomic and clinical pathology at Washington University in St. Louis, Missouri in 2016. He then completed a fellowship in forensic pathology at the University of Michigan. Dr. Koopmeiners was employed as an Associate Medical Examiner for the Volusia County Medical Examiner’s Office (Daytona Beach, Florida) before joining the GBI in 2018.